Three orphans from Kenya stow away on an airplane to embark on a desperate quest to meet the Secretary General of the United Nations in New York City and deliver a message they hope will help millions of homeless and hurting children in Africa. The Wonderful Wizard of Oz becomes their guidebook as they journey alone across the United States. The trio one with HIV, one blind amputee, and one who hasn t spoken for years after watching her family slaughtered find themselves embroiled in a situation beyond their imaginations as they get close to meeting their goal. This book was written with the hope of raising awareness of the millions of people in Africa who suffer the effects of malnutrition, malaria, HIV/AIDS, and the unspeakable atrocities associated with armed conflicts.You can help by doing whatever you re able to do: send a donation,learn what s going on, offer a home, visit the continent, buy an extra copy of The Leopard Tree. 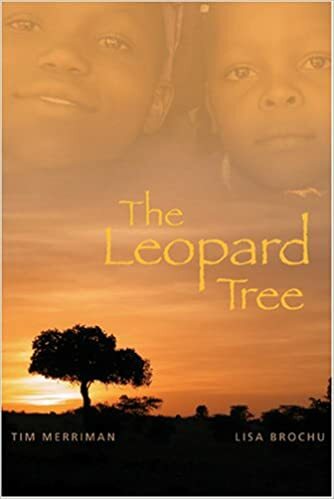 Profits from the sale of The Leopard Tree will be used to support projects that help those who need assistance in Africa.